Our NEW Feature on The Black Southern Belle! Our Feature in Chea K. Woolfolk Magazine! Happy Wedding Wednesday! Since we were recently featured in Chea K. Woolfolk magazine and our article featured tips for hiring a wedding planner, we found it fitting to share it here too! Thank you Chea for the feature! You rock! 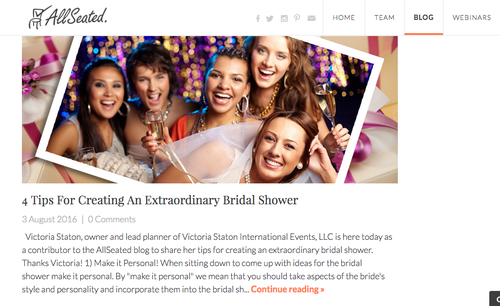 Click the image below to read our tips on how to throw an extraordinary bridal shower!